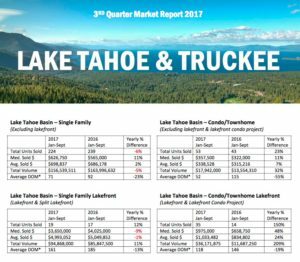 The Tahoe-Truckee market must have been enjoying the hot August beach days of 2017 as much as we were, because the 3rd quarter numbers are sizzling! 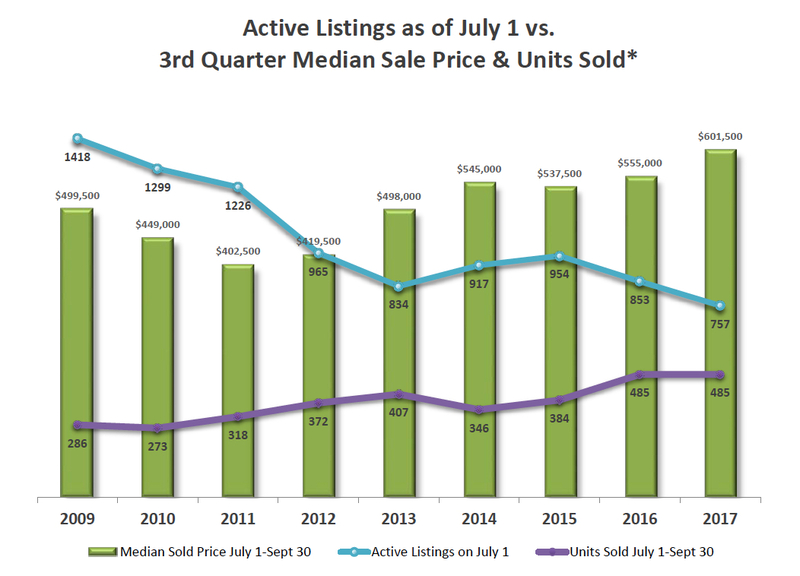 Meanwhile, single family and condominium median sale prices are up an eye popping 10-13% across the region, and homes are flying off the shelves with big drops in the days on market numbers. Lakefront condos are the show-stoppers this year, doubling in total dollar volume over 2016 and with median sales price up 48%. 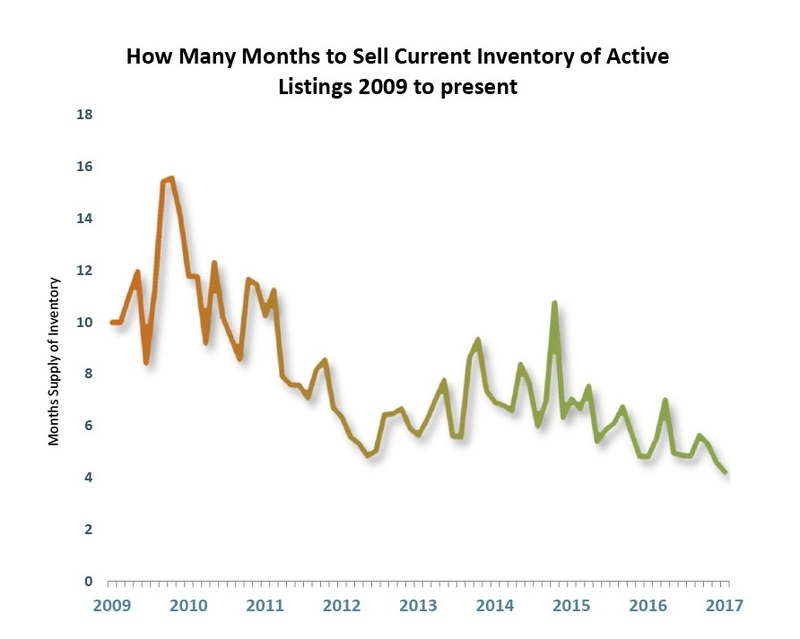 Now the aspen leaves are quaking and the flakes will soon fly, but the market shows no signs of slowing down, with over 330 deals pending as of this writing. 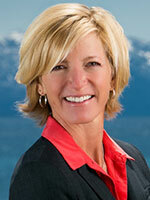 Looking forward to seeing you all for a great ski season!